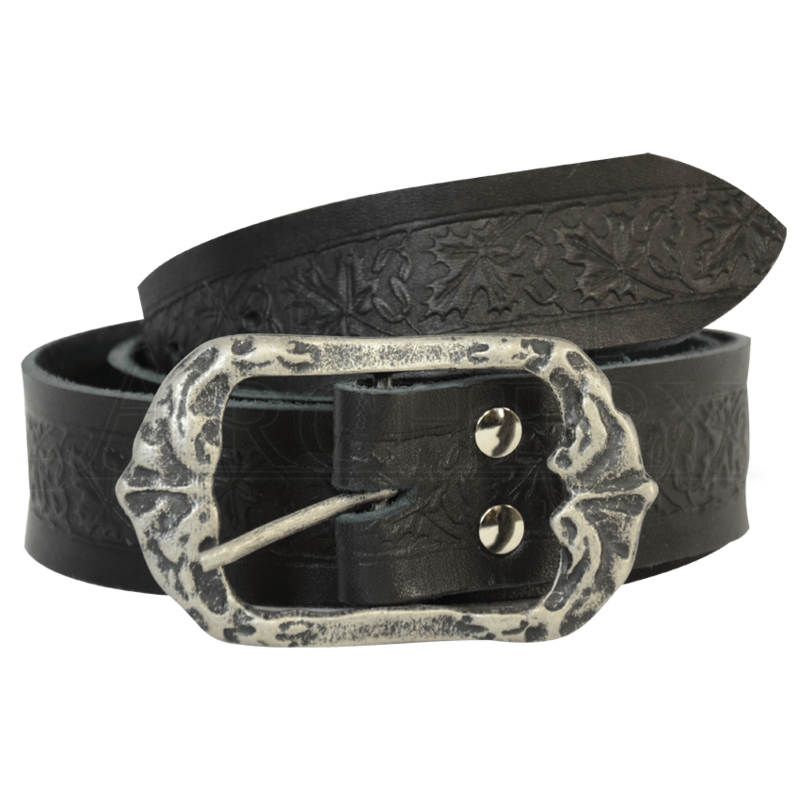 This is one belt that you do not have to be in-costume or in-character to wear and enjoy! Our Woodland Adventurer Waist Belt may have a name out of history and fantasy but its style makes it a piece you can wear day in and day out, whenever you want. The belt is hand crafted and hand dyed right here in our workshop in the U.S.A. using only high quality leather. The leather is also embossed to feature a woodland design of leaves, sprouts, sprigs, and vines. The design is accented by the antiqued belt buckle that carries over the natural detailing into its metallic form. The belt measures 1.5 inches wide and is offered in several sizes and in several different colors. The buckles come in antiqued silver or antiqued brass. Black, Blue, and Red will come with a silver buckle. Brown and Green with come with an antique brass buckle.